Music is borderless and timeless, touching people's hearts across cultures and generations. Each day the discovery of a truly emotive experience from an unencountered sound awaits. Let us take you on your journey to rediscover music. Technics. Delivering the Ultimate Emotive Musical Experience to All. 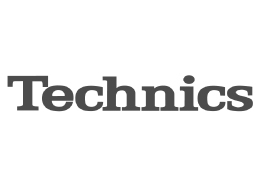 At Technics we understand that the listening experience is not purely about technology but the magical and emotional relationship between people and music. We want people to experience music as it was originally intended and enable them to feel the emotional impact that enthuses and delights them. Through delivering this experience we want to support the development and enjoyment of the world's many musical cultures. This is our philosophy. With a combination ofRediscover Music. A Music Experience Like No Other. The audio landscape has undergone many changes over the years. From recording techniques and equipment to playback devices and types of media, the audio environment is constantly evolving and diversifying with listening convenience becoming a central need. The rise of the Internet, and in particular broadband speeds, has made it possible to send and receive huge amounts of data allowing music to be digitally obtained at lossless quality. It is now time to enter the era of digital networks, not only putting into place our decades of audio experience, but pushing the boundaries of sound reproduction and enabling new encounters with sound for music lovers. Over 100 years of analog audio history, sound quality has matured to a level where people are satisfied with their listening experience. However, the digital era has much more to offer. We will utilise our decades of experience striving for the best sound reproduction possible, through both technology and design, to bring to the market a product with superior audio quality. However, this is just one step in our ultimate goal of bringing the world’s highest-class audio experience to music lovers, who will not settle for anything less than the Technics listening experience. our love of music and the vast high-end audio experience of the Technics team, we stand committed to building a brand that provides the ultimate emotive musical experience by music lovers, for music lovers. Over 100 years of analog audio history, sound quality has matured to a level where people are satisfied with their listening experience. However, the digital era has much more to offer. We will utilise our decades of experience striving for the best sound reproduction possible, through both technology and design, to bring to the market a product with superior audio quality. However, this is just one step in our ultimate goal of bringing the world’s highest-class audio experience to music lovers, who will not settle for anything less than the Technics listening experience.